HydroRush™ is compatible with most nutrient solutions you already use and will most likely make them more efficient. We recommended a small jar test using your specific nutrient mix with the recommended amount of HydroRush™. 8-10 ml. per gallon of nutrient solution once every other week at time of nutrient solution change. 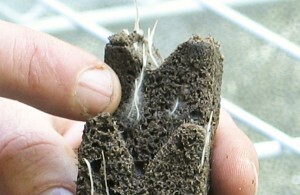 Effective in the root zone for up to 2 weeks in your growing system. 3-5 ml. per gallon of nutrient solution at time of nutrient solution change. 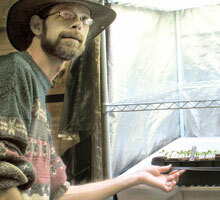 Effective up to one week in your growing system. 1-2 ml. per gallon of nutrient solution at time of nutrient solution change. 10 ml. per gallon of Compost Tea Concentrate. Effective for up to 5 days. Caution: We recommend NOT to use HydroRush in your system past the first week of Bloom. To view the HydroRush MSDS click here. To find out more about HydroRush™ our water treatment product and how it will release Oxygen from available sources in your hydroponic growing environment in a safe and efficient way for your plants without using harmful or poisonous chemicals. Download our HydroRush Brochure and Tell your fellow Gardeners!